THE DESTROYER, JADE HELM, THE ARRIVAL AND LIFE IS A NEGATIVE SO WHAT’S YOUR POINT? Now lots of folks were wondering why the sky was blanked out in the first place – was there anything there they did not want anyone to find, or was this just a slight of hand operation, a sort of trick to make people think that something was there when it wasn’t. There are some things we do know, and the Bible is the only real guide we have to take such information and compare it to the Good Book to see if there is any form of a match. We know there is a DESTROYER. We find it in Isaiah and Revelation and it is hinted at elsewhere, and described in great detail in the Book of the Kolbrin, aka The Kolbrin Bible, a collection of ancient writings. We know from those ancient writings that this object comes and goes at various times, and there may be a number of “destroyers” in the sense that the apple cart we call world civilization is tipped over and all the apples are made into apple cider so mankind has to start over again. We also know that Jesus Christ told us over and over that there are “ages” also known as periods of quiescence on planet Earth only to be interrupted on a grand scale by some intruder that has it out for us. 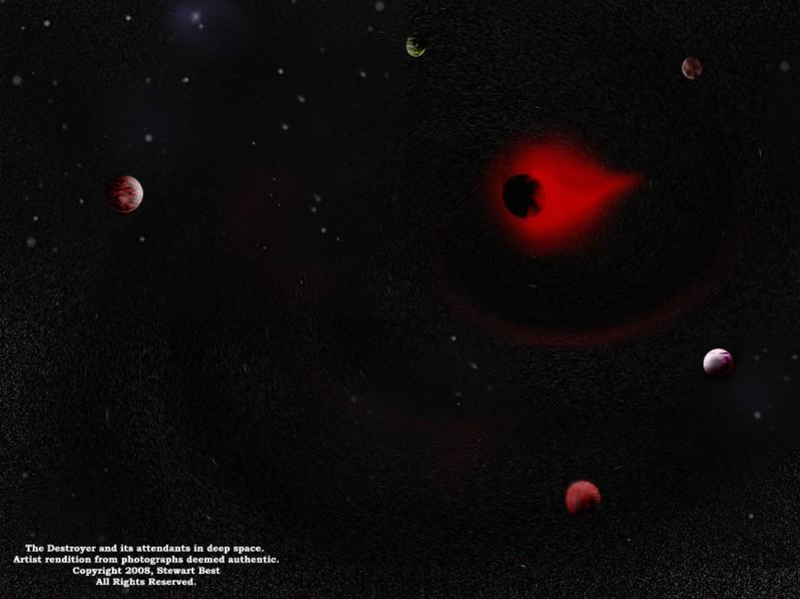 One of those intruders is known as “planet-X”, a merry little companion of our Sun’s twin star, for we live in a binary star system, with two suns revolving around each other. Just as we have our solar system, so does the Destroyer have its own solar system, with planets, comets, asteroids and space rocks. It is now inbound, and many comments from our insane leaders have hinted at it from time to time, such as Janet Napolitano, head of Homeland Insecurity when she said something big was coming upon America and we should get ready for big time change. Obama said almost the same thing. Of course the hints of this inbound object come from watching what the elite are actually doing – such as building huge underground tunnels and cities, building the Norway “seed vault” and comments from insiders about some inbound object that could topple the Earth over in pole shift event. Then of course we have Dr. Doom and his remote viewing team, the “bots” and their “sun Disease”, and “costal ocean events, all portents of some major “cosmic force” that suddenly raises havoc with our earth dwellers. Now Dr. Doom was quite specific, as Ed Dames usually is, that a large space body passes very close to Earth and starts a series of huge CME events that kill millions of people on Earth. Now Jesus commended us to do certain things if we wanted to escape all of this. Very few pay any attention of course, for who did Jesus think He was anyway? What type of arrogance was that to order people around like that? He also divided the human race into two categories. THE FEW and the MANY. The many He said were Earth Dwellers. The few, He said, if they prayed always to be found worthy to stand before Him, would escape all these things that were to come upon planet Earth. OK so we could ask, escape from what? One might venture a guess that the DESTROYER, the STRONG DELUSION ARRIVAL and things of that nature? Who knows? Maybe from their DENIAL. Death would probably bring an end to their denial, for I doubt there is any denial tea down there in the pit, at least I have not heard of any. So does this “revealing” of the Destroyer inbound with it grand wings mean a change of heart in the love of the elite towards all of us? Most likely not, inasmuch as they desire to terminate as many as possible via Jade Helm, collection centers and torture and death “re-education” camps. Notice the fate of 1951. The elite have known all about this for a long, long time, confirming that Alternative Three is more valid and real than most realize. I mean, why bother if we are all going to perish in one big grand slam home run of the Destroyer? The thinking of the elite is that this pass of the Destroyer is survivable for them underground or on the moon or Mars, but that when they re-emerge after the passage there might be too many people to fight off, so let’s set up our “depopulation” programs as etched in the Georgia Guide-Stones. This depopulation agenda is now coming out in the open what with the Pope’s folks saying the same thing, you know we gotta kill off at least 6 billion people. That’s you and me, folks, or me and you, depending upon who to the camps of joy goes first. The elite know that as we progress through this transitional period leading to the NEW AGE that climate change and resulting weather pattern changes are going to cause severe disruptions to the food supplies, and that means that National Security issues become very real. Starving populations would want to migrate to find food and who would stop them? That being the case, the elite must believe they need to kill off as many as possible so they don’t have to fight them off. But there has to be an explanation for this sudden “revealing”. Nothing of that nature could happen by accident or the black blocking would have gone up again right away. A sort of “oops” moment at Google. It may be that this revealing is tied directly to Jade Helm 15 operations, for now they know that soon everyone will see it in the heavens, and one interpretation of a crop circle indicate by November or maybe sooner people will see it. Once the news is out and it is visible, then panic sets in, and the government loses control. So perhaps that is why Jade ,Helm starts in July and goes for two full months, ending September 15th, no one knows for sure. But it is not the Destroyer itself that they may be worried about, but rather the bridal party that comes with it. The elite may know, for example, that a meteor storm is approaching us and we will be bombarded with “smart rocks” to coin a phrase of Larry Taylor’s, or perhaps one of the planets will make a close pass BEFORE the destroyer itself makes its final passing. 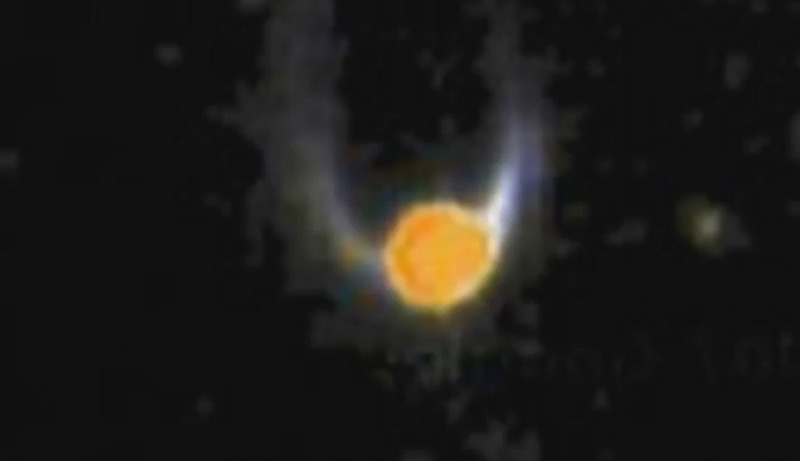 This passing small planet may be the object that the remote viewers saw that triggers the CME KILL SHOT of Dr. Doom, and it may be the same thing that Red Elk saw pass very close to Earth, so close that it sent shock waves out that caused mega destruction. Remember the movie Armageddon, where a meteor storm took out the space shuttle and bombarded the Earth. Much of Hollywood’s releases are more prophetic than not, and it is the elite’s way of alerting those smart enough to figure it out that that something is indeed coming upon us. They already know it. Now when we couple the odd behavior of governments around the world, which all appear to be preparing for something BIG, and now we are hearing that Jade Helm operations appear to be going global, then we could reasonably conclude that a great culling operation is soon going to go live, and the approach of the destroyer is directly connected to it in a way we may not ever find out. If we look at Revelation 12:1 we find that star sign occurs on September 22/23rd 2017. We then can connect the passage of the two comets, Hale-Bopp and Hyakatake crossing over Satan’s head on two 4-11s one in 1996 and one in 1997. Inasmuch as 20 means We and found that Passover 2017 falls exactly on 4-11, 2017 as though God was pointing to that Passover as the crushing of Satan’s head by the work of Christ on the cross. Twenty years later is 2016-2017. Twenty is twice ten and can, at times, mean a complete or perfect waiting period. It also means to be SET FREE. So it appears that the number 20 ties directly to 2016/2017, which is interesting because of the years the Gentiles count and Israel counts are different. In other words, Israel will enter 2016 on Feast Of Trumpets, while we remain in 2015 until December 31! While all of this is speculation, the appearance of the winged star, if real and not some planted artistic deal of Google Earth, IS NOT, sand it appears be on time because 2017 is also 120 years since the first Jewish Congress that laid the foundations for the Third Commonwealth of Israel. The Six Day War was in 1967, and that set Jerusalem FREE. It was a Jubilee Year from Allenby retaking Jerusalem from the Turks. So now you do the counting. The next Jubilee would be 2017 when ISRAEL WILL BE SET FREE. So does that mean we should see some interesting things developing soon? You decide. 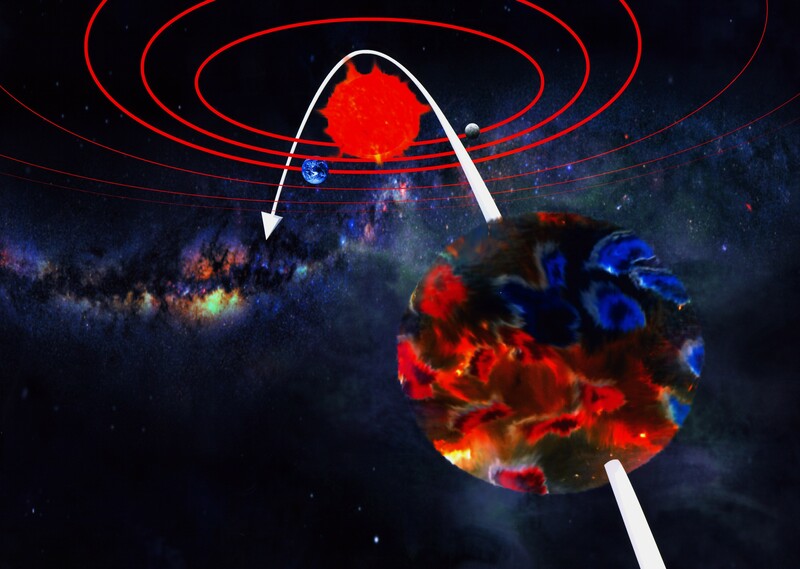 “The star grew and waxed to a great brightness and was awesome to behold. IT PUT FORTH HORNS and SANG, being unlike any other seen”. Certainly all would agree that these signs are all present. This is an interesting concept. THE SIGNS WILL ALL OCCUR but mankind will not understand or know what they mean. That means the leaders in the scientific community will not know what is happening or why it is happening. They will not accept the concept of catastrophic Earth changes, and will cling with all their hearts to uniform and gradual changes. The approach of the Destroyer is slow, gradual and silent. The huge gravitational field of this object, however, begin to be felt throughout the entire solar system. They have a strong influence on the Sun. The changes in the Sun are now being watched very carefully. But the world of science does not know what it means. 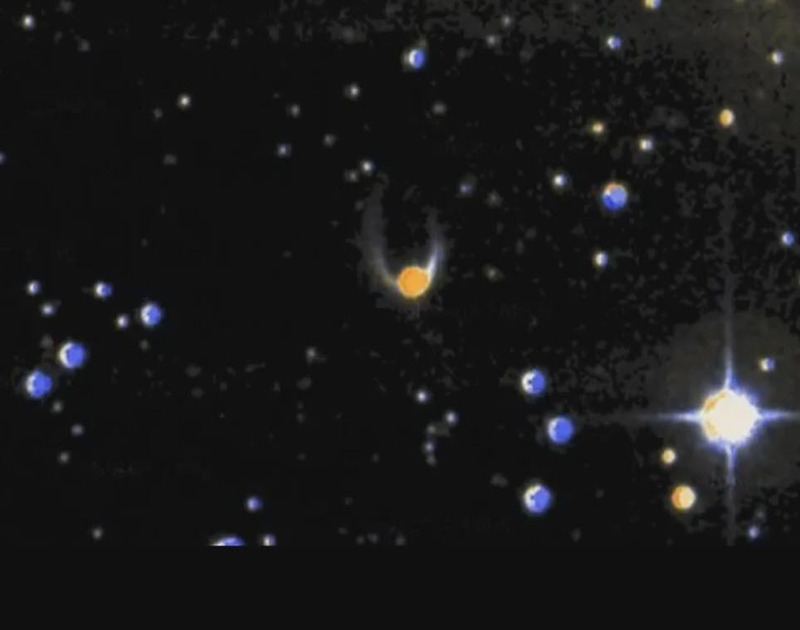 The precursor ripples of the Destroyer will be long before it is seen in the heavens. They have been here for a long time now and those are accelerating rapidly. Only a few really understand what is coming upon this world. So there we are. Life is a negative, so what’s your point? Do you know IF Jesus KNOWS YOU? For the last 25 years or more I have warned the Church that the salvation gospel of modern Christianity is totally false, something that the Bible warned about over and over again, but it falls upon mostly deaf ears – having ears to hear, they cannot hear, and having eyes to see but cannot see. On my last blog I brought forward a number of “announcements” of the Rich Men and what they intend to do that it staggers the mind so very few “get it” and the rest slumber on. Now while we cannot know exactly when Jade Helm will kick in and go live, we certainly know from Scripture that it will sooner or later. Jade Helm is in prophecy, such as Daniel, Jeremiah, Matthew, Revelation and so on – for this is the apex of the Psalm Two war, the end game as some call it. The signs are all here, we simply must wait and watch as this unfolds. Eyes to see that cannot see, and ears to hear but cannot hear, a mouth to speak but does not protest even the demise of their own children. What is wrong with this picture? The Lord has said that He would pick people’s delusions, a horrible and horrific statement when one understands what they actually means. And that has to be what is going on in America – that is that the rank disobedience to the commands of the Lord has led Him to pick their delusions. So what are they? 1. I am totally saved and KNOW IT when I am not. 2. America IS NOT in Bible prophecy, nor is it even mentioned. 3. America is a Christian and Godly nation and therefore cannot see evil. 4. America could NEVER FALL because she is protected by the Lord. She is invincible and unbreakable. 5. The leaders and rulers of America are good and decent people who would never turn against their own citizens or harm them KNOWINGLY. 6. The leaders of our military forces would NEVER turn upon the people, round them up and either incarcerate or terminate them with extreme prejudice. 7. There are no such things as FEMA camps, they do not exist. 8. Homeland Security IS NOT anything like the German SS and has no evil intent within it. 9. The former Soviet Union is no longer a threat and America has no real enemies. 10. The economy in America is booming and sound and will be forever. 11. “There Is NO God” for the unbelieving masses. So because people are under these delusions, and expect things to continue as they always have, then SUDDEN DESTRUCTION takes on a whole new meaning, does it not? “As a snare shall it come upon the whole Earth”. So just curious, are you under any of the above delusions? There is one delusion you do not want to be under, and that is that you know Jesus when you do not. The question is this: DOES JESUS KNOW YOU? Why do I ask that one? Because in Matthew Seven Jesus terminates the vast majority of His followers, (called the many), with a very terse “I NEVER knew you”. Now they all thought they KNEW HIM, and in fact were doing all sorts of activities such as teaching about Him, casting our devils in His name, performing many wonderful works. etc. It was all for naught, it was all vanity. So then it is not important as to whether or not You THINK you know Jesus, but rather IF HE KNOWS YOU. So then, HOW DO YOU KNOW IF HE KNOWS YOU? According to Scripture, only one in thousand of His people can give the correct answer!! The elite, the rich men of the earth have openly published their intentions many, many times, even now have carved it into the rocks at the Georgia Guidestones, yet evidently people cannot believe it. It is like a fellow who comes up to you, announces he is going to kill you, gets out his revolver, loads it in front of you, points it at you, and all the while you are smiling because you don’t believe him. He pulls the trigger and you die. Jade Helm is the gun being loaded in front of you. Keep that always in mind no matter what media, the military or government people tell you. The Bible warns us of a coming day of slaughter, of a culling of the herd, if you will. It takes great preparations to accomplish that, much of it in the open, so when people ask “what is going on at Wal-Mart?”, “Why are you putting razor wire on the roofs?” or “What are those portable prison things with bars in the windows for?” or “Why are there millions of coffins at FEMA Camps?” or “Why all of these temporary morgues?” There must be some sort of “cover story” and lies told that sound credible and ones we want to believe, even if down deep we know they are not true. This is what the Rich Men have done – they have announced their intentions to kill you many, many times. It is a very open and obvious conspiracy, told to us long ago in Psalm Two, hidden in plain sight, relying upon the masses total disbelief that their leaders would conspire again them. They announced it in the Protocols. They announced it in IRON MOUNTAIN. They announced it in Alternative Three. They announced it in Silent Weapons For Quiet Wars. It was announced and carved in rock at the Georgia Guidestones. If one examines the carvings on buildings in New York and Washington, and the Vatican closely, the mayhem was told us, along with the approach of the Destroyer. They announced all of their intentions at the International Airport in Denver, with their hideous wall murals. They went further, and announced their full intentions in State Department Document 7277. They told everyone in the United Nations Agenda 21 Report, and in the Man and Biosphere Report. It was announced by Obama when he said he wanted an internal army just as powerful if not more so, than our standing military. It was announced when he said he would “change the world and America”. It was announced when Homeland Security bought millions of rounds of anti-personal ammunition banned by the Geneva accords. It was announced when all of our government alphabet agencies bought millions of rounds of ammo and assault weapons. And so it is that Jade Helm, obviously totally satanic and just another announcement, with our military leaders telling the American people NOT TO WORRY, IT ALL MEANS NOTHING when their logo tells you all you need to know. You may remember that Janet Napolitano of Homeland Security told the American people that something was coming, a game changer sort of thing, and that Americans should prepare themselves for it. She declined to tell us what it was that was coming but resigned and faded into the woodwork. It was not like she had not warned us, it is just no one believed her. Then of course we had 9-11, an obvious false flag, Oklahoma City, Sandy Hook, Half-time Super Bowls, the Olympics, the movies, Homeland Security, fusion centers, The FBI’s Project Megiddo, congressional laws passed making America a war zone, NDAA 2015 so Obama can imprison anyone he wants, etc., and all of this is gearing up for “something big”, you know, laws that make the cold-blooded murders of millions of innocent men, women and children “legal” and “just” and “right”. After all, the Americans by and large are useless eaters who need “culling” according to the elite, also announced. All of these were open announcements of plans made public long ago. Daniel the prophet told us all about the United Nations. It is hidden in plain sight. How it would rise up and usurp the constitutions of the nations and become Satan’s finest murder machine. The apex of the Psalm Two wars. The UN sits on 11 acres of cattle slaughter grounds. Deuteronomy tells us all about the rise of the RICH MEN, an open curse upon the American people. The Book of Revelations adds details, as does James. It is all in there, and none of this could happen if God’s own people were not in total denial and in almost total apostasy. Then of course we have a planned economic collapse in the wings somewhere down the line. No one knows when of course, at least not yet. And let’s not forget EMP’s, gas or biological attacks, suitcase nukes and other “nice” events the rich men hide in their suitcases full of tricks. It may be that a way to explain all of this is the approach of the DESTROYER and it attendant “wedding party”, you know its own solar system of planets, comets, asteroids, space rocks and various other damaging objects if we happen to get in the way. I have to agree with those who think that ALL OF THIS is tied directly to the approaching objects and the almost total destruction of the Earth by the ancient “Planet Of The Crossing”, also known as Nemeses, The Destroyer, etc. It is inbound and the elite know it is, and they are doing everything they can to escape it. They also know that sooner or later the people will figure out what is really going on when the DESTROYER shows up in the night and day skies. They are also expecting an arrival of aliens to help mankind through this coming disaster and of course the New Age have told us through channeling that those “aliens” will assist the elite in the culling operations as well. Of course “they” are already here, giving us untold secrets to help the rulers escape and cull the rest of us poor slobs who are useless eaters who don’t deserve to take another breath. They do like our money though, is that a Martha Stewart good thing? The elite also know that when the Destroyer get closer, and the Earth changes begin in earnest, the people will no longer accept their government that lied to them, and will throw it off and totally disregard any attempts to control them. Gordon Michael Scallion wrote in one of his Earth Changes newsletters that although the elite of government scientists knew what was coming, they would never warn ANYONE concerning it because they feared a total economic collapse if the word ever got out. So this is about TOTAL CONTROL, and about what happens AFTER the FIRST PASSING OF THE DESTROYER. Do not forget Alternative Three, and the consensus of the scientific elite was that they, the rich men, could escape if they acted fast enough, and could build their own “ark of Safety” and escape the Destroyer’s impact upon Earth. They could, it was said, build huge underground facilities and then go underground when that day came upon them, or to the moon or to Mars and build colonies. To do that they needed slave labor, collected in “batch consignments” via the UFO anti-gravity craft that have abducting large numbers of people who simply “vanish” and are never heard from again. “Tain’t so” muse the people. “Cannot be true” “TV would have told us”. “Fox News would have said so if it were true”. 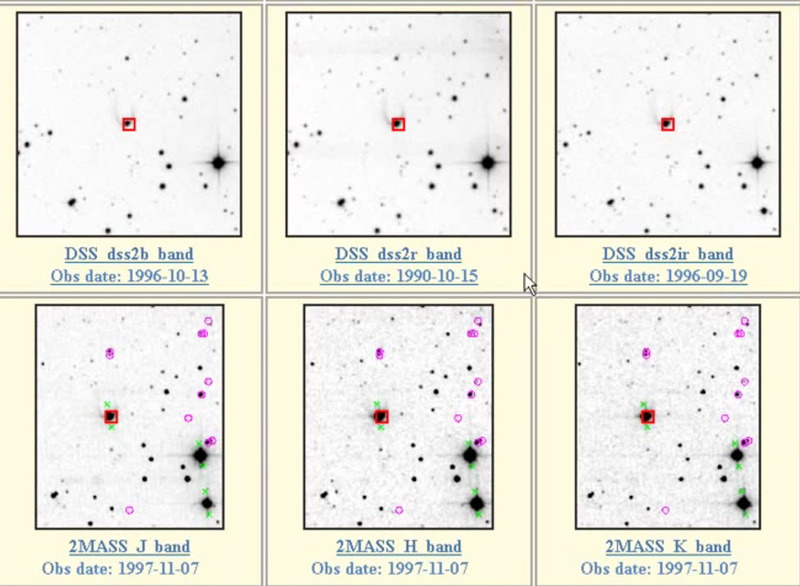 Those astronomers who did attempt to warn us met with untimely deaths. Dr. Harrington of the Naval Observatory located “Planet-X”, but before he could announce it to the world with his proofs, he died mysteriously and the “proofs” were never found. Then of course Hollywood loves the catastrophe movies, hence “When Worlds Collide”, “Deep Impact”, “Armageddon” and “2012” all came rolling off the assembly lines over the years to condition us that it was all just sci-fi thrillers, nothing real, nothing here, so move on. But those movies were based upon actual cosmic and geological facts, all known to the ancients and the elite. They were warning their own as to what they knew. 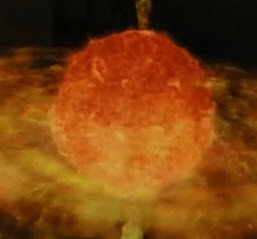 “When Worlds Collide” was actually based upon what the Kolbrin called the approach of the DESTROYER. 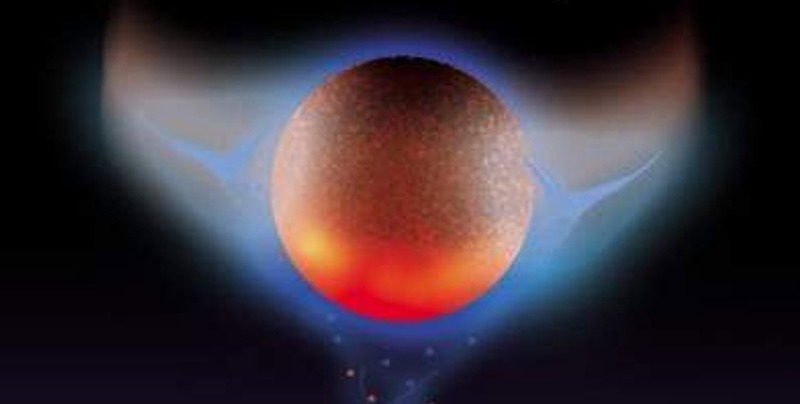 It was the story of another star and its planetary system colliding with our solar system. The Bible calls it THE DESTROYER as well. Then we had DEEP IMPACT the story of a comet hit. The Bible tells us that there will be either and asteroid or comet hit in the near future, in fact the very near future, with several HITS and meteor storms. There are lots of rumors about an asteroid impact event in September and that a lot of people will be impacted when it strikes earth. Obviously our astronomers might know when and where it will impact us. The leaders of Puerto Rico were briefed, it is said, about an impact event in the ocean just west of there. Such and impact event would cause huge tsunamis to come inland all along our southern coastal and even eastern coastal regions. It would trigger massive volcanic and earth quake activity as well. Perhaps that is the reason for the brand new earthquake warnings issued by the USGS about very high risk and high risk volcanoes in America. It is possible much of what is going on has several other items attached to it. Red Elk said he was visited because of his vision of where external enemies came across our borders at specific points and thus preparation is being made to “ward it off”. Another concept would be that another series of false flag events is planned. The point is, we only know what the Bible tells us, and that is that a GREAT CULLING IS BEING PLANNED and the RICH MEN ARE BEHIND IT. The point being that the Good Book tells us that mankind turns TOTALLY EVIL as the end nears, and all restraints upon their behavior are removed. It tells us of the rise of a NEW WORLD ORDER, A GLOBAL GOVERNMENT. You can find all of that in the “Protocols” as well. So it may well be that the rise of this global police state and the culling of the herd is related directly to the approach of the Destroyer and the elite, by a massive culling of the ‘herd’, are making sure that when they come back to the surface from their hideaway, they will be able to totally take over the globe with little if any resistance, because the few that would remain after their culling operations would have been killed by the Destroyer and then they would have their NEW EARTH and their NEW HEAVEN; another “Eden” and a new Genesis beginning. To sum it all up, you do not spend billions to build huge underground complexes for the fun of it, or billions moving governmental offices to high ground. You do not spend millions moving libraries to underground facilities or to high ground. You do not spend millions to build a huge SEED VAULT in Norway filled with seeds from all over the world for no reason either. You do not spend billions building secret bases on the moon and Mars unless you KNOW something is coming that is going to devastate our present global civilization. So what is all of this about? The Bible says they build their “nests” in the stars to escape the coming judgment. They go underground, and under the sea. It is about the end of the age, the omega point of this age. The rich men know that judgment is coming, and they are using your money in an attempt to avoid it. We do not know YET when that end point is, we only know it is drawing closer every day. We are to occupy, to keep on keeping on with an eye on the SIGNS we were all given to watch, to be awake, to be diligent. We live in the most interesting of times, and as Jesus said, THE END IS NOT YET.